Long gone are the days when Wrist Watches were meant for time updates. 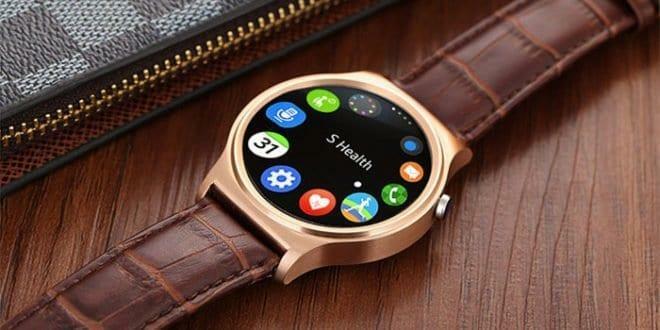 Smartwatches have taken over the market by storm. Smartwatches are one of the most desired fashion/tech accessory these days. 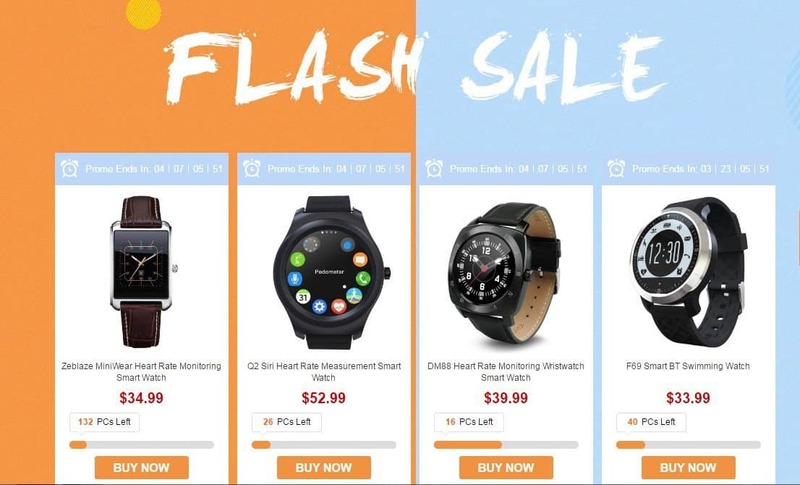 Chinese eCommerce giant Gearbest is running a promotional sale on its wide range of smartwatches on flash sales along with 100% cashback & giveaways. Gearbest has put up Ulefone GW01 Heart Rate Monitoring Smartwatch on flash sale. Ulefone is among one of the top smartwatch makers of China. Gearbest is providing an opportunity to all the customers who purchase Ulefone GW01 smartwatch successfully, to win 100% Cashback (on full price) of this smartwatch. It is to be noted that, Only 30 smartwatches are available every day & are eligible for 100% cashback. So, you better hurry & purchase it quickly to get eligibility for a 100% cashback. If you missed it, you can still try before the end of the sale i.e., on May 31st. The other smartwatches on the sale are K88H Bluetooth smart watch at $46.99, NO.1 S5 Heart Rate Monitoring Remote Camera Smart Watch at $37.99 and more. If you missed the above 100% cashback deals, you can try the flash sales on the same day. The advantage in the flash sale over the cashback deals is the availability of smartwatches are more! Well, the flash sale is running from 23rd May 2016 – 31st May 2016. For every successful purchase, you will automatically get an entry into the GearBest giveaway.Two Lucky customers will be chosen randomly on 31st May and winners will be announced at Gearbest WristWear facebook page. So, stay tuned to their facebook page for more information. To have a better possibility of winning the giveaway, make sure you make a purchase of the deals & be active on their facebook page. Now, what are you waiting for just head over to GearBest and check out the entire range of smartwatch catalog which are under Summer Flash sales!